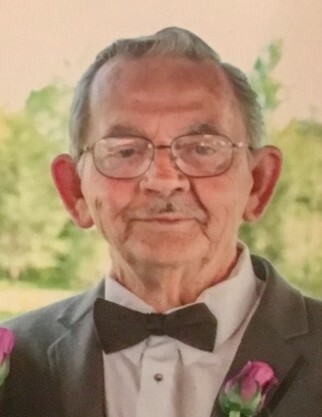 William “Bill” Rufus Jones, age 80 of Mt.Orab, Ohio died Friday, January 18, 2019 at the Good Samaritan Hospital in Cincinnati, Ohio. He was a retired foreman for over 30 years for General Electric and a United States Navy veteran. Bill was born August 26, 1938 in Mt.Orab, Ohio the son of the late John W. and Mildred J. (Ogden) Jones. Besides his parents, he was preceded in death by one son – William Joseph Jones and one grandson – Allen Carter. Mr. Jones is survived by his wife of 37 years, Dorothy (Hessberger) Jones, four children – Sheree Caraway and husband John of Mt.Orab, Ohio, Brian Jones and wife Tina of Williamsburg, Ohio, James Jones and Regan Dotson both of Mt.Orab, Ohio; daughter-in-law – Diana Jones of Mt.Orab, Ohio; nine grandchildren – Jessie, John, William, Dustin, Michelle, Chris, Mindy, Aaron and Hannah; seven great grandchildren – Izzy, Gabriel, Aiden, Abigail, Allen Jr., Ava and Liam; one sister-in-law – Anna Davis of Georgetown, Ohio; one nephew – Curt Daniels of Bethel, Ohio; one niece – Patty Sump and husband Marshall of Georgetown, Ohio and many great nieces and nephews, family and friends. Funeral services will be held at 7:00 P.M. Wednesday, January 23, 2019 at the Cahall Funeral Home in Mt.Orab, Ohio. Visitation will be from 4:00 P.M. – 7:00 P.M. Wednesday at the funeral home.